It can be claimed that Turkey is the first country that comes to mind across the world in the field of hair transplantation. Hair transplantation in Turkey attracts patients from dozens of countries around the world to our country in the field of health tourism. We will try to explain why hair transplantation stands out in Turkey this much. Hair transplantation is an operation that has been applied since the early 1990s in Turkey. Although its first experimental applications were made a long time ago in the world, it started to be applied professionally in Turkey, along with the rest of the world, in the same period, i.e. in the 1990s. You can read the following article to review the history of hair transplantation in more detail. The date when hair transplantation has started to be widely applied to people around the world is close to the date of its application in Turkey. This has enabled Turkey to become one of the most experienced countries in this field. Experience can be said to be the keyword of hair transplantation in Turkey. 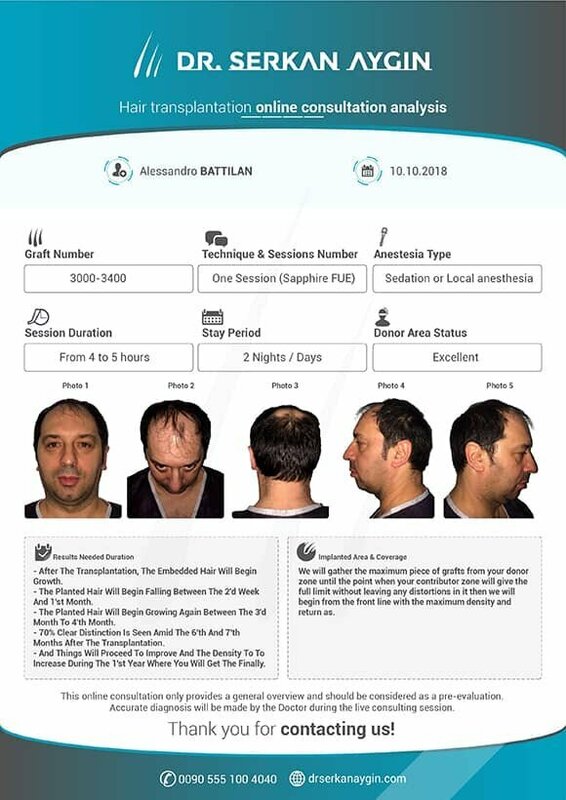 Since hair transplantation applications in Turkey shifted from the experimental background to a higher number in practice, this experience naturally has brought along more successful results. The increasing number of operations made every year strengthened the success in this field. According to unofficial data, hair transplantation is applied every year to more than three hundred thousand people in Turkey. India, where the annual number of hair transplantation operations reached two hundred thousand, and the US, albeit a lower number of operations, come to the forefront as important countries for hair transplantation. Hair transplantation is carried out by specialist doctors in Turkey. The field of specialization of doctors is dermatology as it analyzes scalp well. Apart from this, we see that plastic surgery doctors also work in the field of hair transplantation. Turkey is among the few countries in the world where all health care services are provided to all individuals under the State's guarantee. This facilitated opening hospitals in all cities of Turkey throughout the years and hiring thousands of medical doctors to work in these hospitals. Naturally, medical training has developed both at the level of universities and practice. Here are some statistics to help us understand the studies in the medical field in Turkey: Approx. 7 billion people live in the world and 389 thousand people graduate from this field whereas Turkey has a population of 80 million people and 75 thousand students study in one hundred schools of medicine. As such, 150 doctors per 100 thousand people, which is the number of doctors per capita in high-income level countries, has been reached in Turkey. 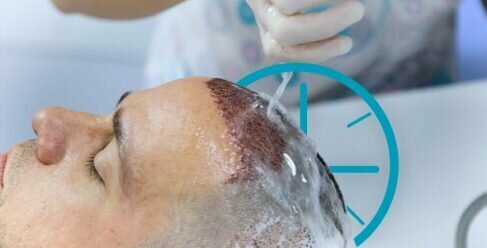 Turkey also stands out as a country where several global hair transplantation techniques are applied. For example, hair transplantation with sapphire blades is a novel technique that has been used for some time in all operations performed in Dr. Serkan Aygın Clinic. Painless anesthesia is another application that is widely used in the operations in Turkey. Furthermore, the use of special solutions for preserving hairs during operation and performing hair transplantation operations in fully equipped hospitals with surgical facilities are some other factors that determine the technical quality of hair transplantation in Turkey. Another factor that distinguishes Turkey from others as a hub of hair transplantation and health tourism in the world is its geography. Geographical advantages of Istanbul such as being the intersection point between Europe and Asia and connecting these two continents contributed to Turkey's becoming a popular destination for health tourism. Over 100 million visitors land in airports in Istanbul every year and these visitors transfer to tourism regions of Turkey from this city. Thanks to tourism regions such as Bodrum, Cesme, Kusadasi and Fethiye that are known worldwide, it is easily remembered. As Istanbul has been the cradle of civilizations for thousands of years, it keeps on attracting a large number of visitors. This influx of visitors naturally raises awareness in health tourism. 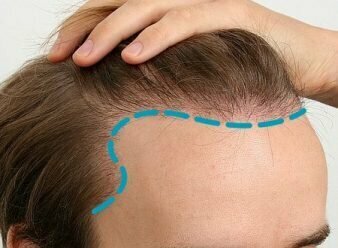 If you want to undergo hair transplantation operation in Turkey, let's try to explain the procedure step by step. First of all, you will be subject to a research process. For this purpose, you are often expected to contact a center via online channels. In this context, you can do a web search. And then, the relevant department will contact you. A preliminary evaluation is generally asked for hair transplantation. Patients tend to send their photos to the doctor via Whatsapp and thus, the doctor will have a general opinion based on these photos. Clinics ask for at least 2 photos from patients during online consultation for hair transplantation. These photos include clear images of the front or slightly top area of the balding site and the back of the head. These two photos will show how many grafts are required in the transplantation site and whether hair follicle that can meet this requirement is available. Although clear photos are requested, it will not be possible to plan the operation without an actual physical examination. Another step toward hair transplantation is that you need to make an appointment if you have decided the clinic where you will have your hair transplantation. Once you make your appointment, the clinic should send you a documentation that explains the hair transplantation process step by step. Of course, this can also be sent via Whatsapp. Clinic officials will inform the patient about the range of dates of all these processes. After flight ticket is purchased, hotel accommodation is generally handled by agencies. This is also organized by agencies. Once you land, transfer from airport to hotel and vice versa will also be organized by agency representatives via VIP vehicles, which will be waiting for you. In other words, an agency representative will meet you at the airport and thus, you will be transferred without any hassle. These transfers will be explained to you in your operation plan and will be either directly to your hotel or to the clinic according to the arrival time of your flight. When you are transferred to the clinic, you will be physically examined by a doctor. This doctor will determine the final hair transplantation plan for you. At this point, you will undergo some physical and oral examinations. For example, blood tests will be made and other allergies or other conditions of medical importance will be inquired by the doctor. The doctor must obtain information under approx. 20 headings. The optimum operation plan will be made in the light of this information. For example, it will be determined whether local anesthesia will be applied or which active substances will be used or whether sedation is required. You will also be informed about pre-op steps. The day of hair transplantation operation may be the day that you are transferred from the airport or the following day. Preparation: Dressing and disinfection of the transplantation site take about 30 minutes. Anesthesia: Local, needle-free local anesthesia or sedation is performed depending on the circumstances. This procedure takes approx. 30 minutes. Collection of Hair Follicles: Although this process varies by the number of grafts to be collected, for example, it takes 1-1.5 hours for a collection process of three thousand grafts. Dressing of the Donor Site: After follicles are collected, the dressing will be applied to the site and this site is wrapped with a bandage to protect the site against external factors for 1 day. This procedure lasts 10-15 minutes. Then a break is given. This may take 10-15 minutes or if a lunch break will be given etc., it may take half an hour. Administration of Anesthesia for Opening Channels (Incisions): This second anesthesia is applied to the site to be transplanted. Thus, the incision creation process will be pain-free. This takes less time, i.e. approx. 10-15 minutes. Opening Channels for Transplantation: Channels will be opened with sapphire blades based on the amount of hair to be transplanted (Dr. Serkan Aygın Clinical uses these blades). This phase is not available in DHI/Choi hair transplantation technique. This technique involves both opening channels and transplanting hair follicles with DHI by using an implanter pen. Opening the channels takes about 1 hour. Transplanting the grafts: It is an important phase that requires maximum attention during hair transplantation. This is the most labor-intensive phase in hair transplantation. All members of the health team are active during this phase and the hair follicles are placed one by one into the channels. This procedure takes the longest time in the operation, but the average time spent is 1.5-2 hours. Completion of the Operation: After the transplanted grafts are completed, a general dressing is applied and the patient is asked to stand up and prepared. Similarly, this procedure takes 10-15 minutes. The person whose operation is completed can eat according to his needs under the monitoring of the health teams and he may be transferred by the transfer services to his hotel for rest. On the first day, since anesthesia will continue to have its effects, the patient should avoid from going outside. You may create the opportunity to wander around Istanbul before the operation or one day after the operation. A head wrap will be worn after the completion of the operation. This headwrap ensures that the skin softening liquid, which is injected into your body during the operation, is distributed more homogeneously. How to sleep on the day following the operation is another important question. You need to place your head on the pillow in the supine position. To this purpose, clinics provide travel pillows to their patients, which are also used to sleep on airplanes. Thus, you may sleep comfortably and with confidence. On the second day of your operation, you will be brought to the clinic, accompanied by the transfer team and you will be checked. The dressing applied on the first day is a process where important information is shared. During the dressing, the condition of the adhesion of hair follicles to the skin, their aesthetic etc. will be evaluated once again. Along with the dressing, Platelet Rich Plasma application is made to the person in Dr. Serkan Aygın Clinic. This procedure contributes to strengthening the hair follicles. Apart from these, hair transplantation has become applicable even to people with diabetes. Of course, these individuals will be subject to strict checks, depending on their condition. In these patients with high-risk, there is a slight chance of reaction to occur after hair transplantation. For patients with such special conditions, Dr. Serkan Aygın Clinic offers its patients the most advanced means for medical intervention, even applying hyperbaric oxygen and thus, patients can leave the clinic with the optimum hair health. After the dressing on the post-op day, the health personnel who will be responsible for the patient or guide will explain in detail the important points that will make the success of operation long-lasting. For example, a description will be given in the form of a simulation, together with the documents describing how to wash your head in the next 15 days. And then, the first application will be shown for all patients. You will also be informed about the actions that may influence the success of the operation. Such information will cover information about when and how often harmful substances such as cigarettes and alcohol may be used. In addition, how very small scabs at the bottom of follicles will fall out for 15 days will be described in detail. The following process will depend on how much the patient will comply with these instructions. Of course, the health personnel who will be in contact with the patient will continue to ask for photos of the patient from time to time within these 15 days to follow up with the patient. Photos may also be requested even after 15 days, which is a normal follow-up procedure. Dr. Serkan Aygın has been specialized in hair transplantation and hair treatments personally since 1996. For over 22 years, he has been closely following up the developments in these applications and has been contributing to this process with new applications developed by him. 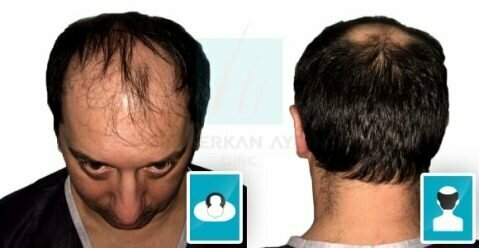 For further information on hair transplantation procedure, you may contact Dr. Serkan Aygın Clinic. We wish you a healthy life and healthy hair.